The ideal solution for creating short to medium run safety barriers. 50% wider belts for high visibility safety messages. 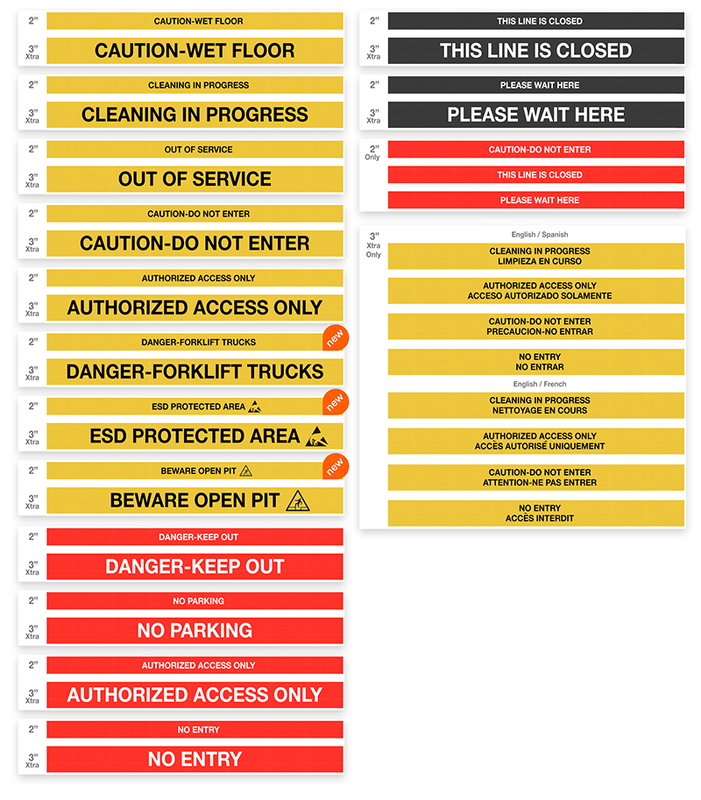 Provides a lower cost more flexible option to using rigid barriers or solid panels. Combines the cost effectiveness of an extra length 16’ belt with the improved access restrictions of twin belts. Designed for low cost time efficient setup of long run barriers, the 35' belt requires a quarter the of number of posts needed with the industry standard 7.5' belt. The SafetyPro belt cassette offers slow retract brake, belt lock, and universal belt end as standard features. 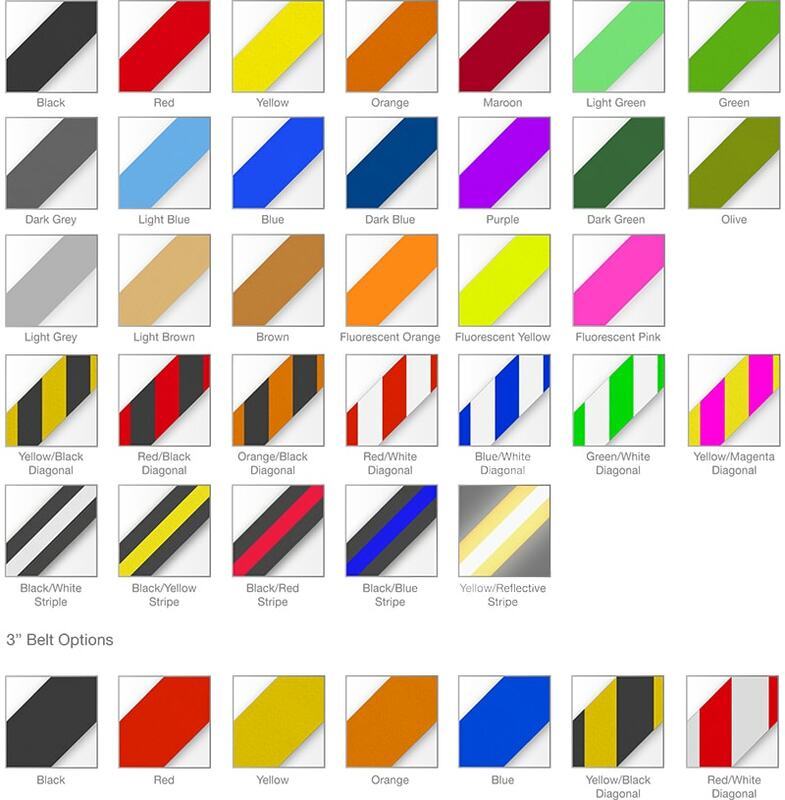 With a choice of two widths, three lengths, and over 60 standard colors and messages SafetyPro has the widest range of belt options available. 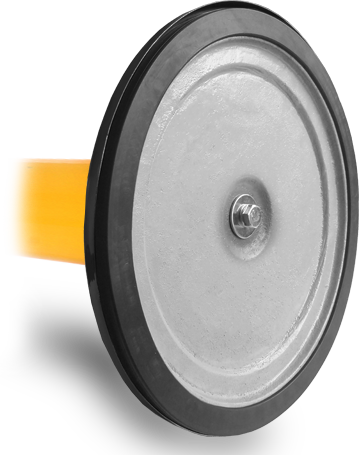 SafetyPro features the best floor protection in its class, the heavy-duty rubber ring provides full contact floor protection around the circumference of the base and will last the life of the barrier. Manufactured from heavy gauge aluminium with a 15lb cast iron base, SafetyePro’s heavy duty construction is designed to give a long service life in working environments and where the barriers are moved frequently. SafetyPro Xtra models feature a 50% wider belt making a more visible barrier and giving much greater impact to printed safety messages. Height : 40" Height : 40" Height : 40" Height : 40" Height : 40" Height : 40" Height : 40" Height : 40"
Post OD : 2.5" Post OD : 2.5" Post OD : 2.5" Post OD : 2.5" Post OD : 2.5" Post OD : 3" Post OD : 3" Post OD : 3"
Base OD : 14" Base OD : 14" Base OD : 14" Base OD : 14" Base OD : 14" Base OD : 14" Base OD : 14" Base OD : 14"
Belt Width : 2" Belt Width : 3" Belt Width : 2" Belt Width : 3" Belt Width : 2" Belt Width : 2" Belt Width : 2" Belt Width : 2"